Pricing is the linchpin to a successful sale and one of the most important steps in the selling process. Setting the list price for your home involves evaluating your home, the recent comparable sales, as well as various market conditions. During this phase of the home selling process, your Realtor will work on your behalf to determine your home’s market value, before assisting you in formulating a pricing strategy, and establishing an appropriate list price for your home. Neither agents nor sellers determine a property’s market value: Fair market value is determined by the market, and is the highest price a qualified, (reasonably) knowledgeable buyer is willing to pay at a specific point in time, to a seller not under duress, after the home has been properly exposed to the market. If you set your price too high, many potential buyers we elect not to look at it at all, while others will simply walk away without making an offer. If your home is overpriced, that is the difference between the asking price and the todays market value is substantial, it discourages prospective buyers from making offers. Furthermore, overpricing actually helps sell competitive listings—which stand out as good values in comparison. Well-priced homes create a sense of urgency in the buyer/broker communities to act quickly with strong, clean offers—and help to produce the competitive bidding situations that generate the highest sales prices. It’s critical that your home be priced appropriately and in comparison to other homes in the neighborhood. And while you may have told your Realtor “Bring me any and all offers. As frankly, I’d take less.” What buyers and their agents see is a home that simply appears overpriced in comparison to other homes in the community, and too expensive to be considered. It’s also important to remember that homes are overwhelmingly purchased on credit and subject to appraisal. 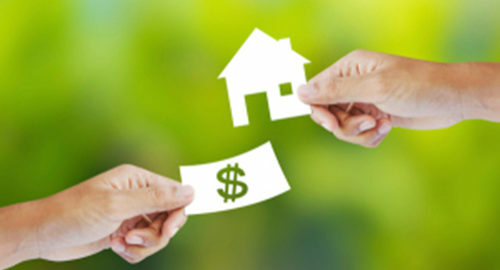 If a home appraises below the agreed purchase price, a buyer will typically require the purchase price be reduced to the appraised value, or terminate the purchase and require the return of their earnest money thus exercising the contract’s financing contingency. TIP: Never say “asking price”, which implies you’re willing to accept less and frankly don’t expect to get it. Instead confidently inform interested parties that your home is “priced at” whatever figure you and your agent come up with. Your best guide is a record of what the buying public has been willing to pay in the past few months for property in your neighborhood. Your Realtor can furnish data on sales figures for those comparable sales and analyze them to help you come up with a suggested listing price. Of course ultimately the decision about how much to ask for your home, is always your own. Competitive Market Analysis (CMA): The list of comparable sales your Realtor provides to you, along with data about other houses in your neighborhood that are presently on the market is used for a “Comparative Market Analysis” (CMA). To help in estimating a possible sales price for your house, the analysis will also include data on nearby houses that are presently on the market as well as those which failed to sell in the past few months, along with their list prices. A CMA differs from a formal appraisal in several ways. One significant difference is that an appraisal will be based only on past sales and will not take into account those homes currently listed, that is your competition. Also, an appraisal is done for a fee while the CMA is provided by your Realtor and will typically include properties currently listed for sale as well as those currently pending sale. For the average home sale, a CMA is all the information you’ll need to help you set a proper price. 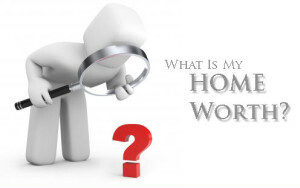 Formal Written Appraisal: A formal written appraisal (which may cost a few hundred dollars) can be useful if; you have unique property, there hasn’t been much activity in your area recently, co-owners disagree about price, or there is/are other circumstances that make it difficult to put a value on your home. Ultimately, listen carefully to your agent’s pricing strategy. It’s their job to know what works and what doesn’t. And as with any strategy, be prepared to have an ongoing discussion about pricing with your real estate agent. Pricing a home isn’t a “set-it and forget it” procedure. A lot of factors can come into play when selling or buying a home, and not all of them can be anticipated. If you can be flexible and react quickly to changing market conditions or new information, you’re more likely to get the best price with the least aggravation. Some sellers list at the rock-bottom price they’d really take, because they hate bargaining. Others add on thousands to the estimated market value “just to see what happens” in an effort to test the market. Our group does not recommend the latter strategy as the price at which a home eventually sells is inversely correlated to it’s time on the market and thus it is best that the home be priced appropriately from the start. Furthermore, homes typically receive the highest levels of traffic in the first 30-45 days they are listed and thus if the home is initially overpriced you miss out on the best opportunity to sell your home! Overpriced homes essentially eliminate any sense of buyer urgency to act, and experience protracted market stays, on average 2 to 3 months longer than well (accurately) priced properties. The listing gets “stale” which significantly reduces perceived value in buyers’ minds and encourages aggressive offers from buyers who don’t perceive or anticipate the risk of a competitive offer from another buyer . While we strongly discourage overpricing, if you want to try this strategy, have the luxury of time to feel out the market, and are willing to take the risk, sit down with your Realtor and work out a strategy including an advance schedule for lowering the price. If there haven’t been many prospects viewing your home after three weeks, you may need to lower your list price. If that doesn’t bring any prospective buyers, you may need to lower your list price again. Plan on doing that regularly until you find a level that attracts buyers. Make a written schedule in advance, before emotion takes over and you’re tempted to dig your heels in. If you haven’t had much traffic through your house and you’re in a hurry to sell, you may want to add the offer of a bonus to the selling broker, in addition to their commission. An example of the wording for such an offer may be “to the broker who brings a successful offer before Christmas.” Click here for Effective Incentives to Help Sell a Home. Closing Costs: As far as closing costs are concerned, your Realtor will assist you in estimating what your final closing costs will be. Click here for Understanding Closing Costs and How to Reduce Them.